Aurelia Faidley-Solars, 8-years old, is in the second grade at The Elisabeth Morrow School in Englewood, New Jersey. 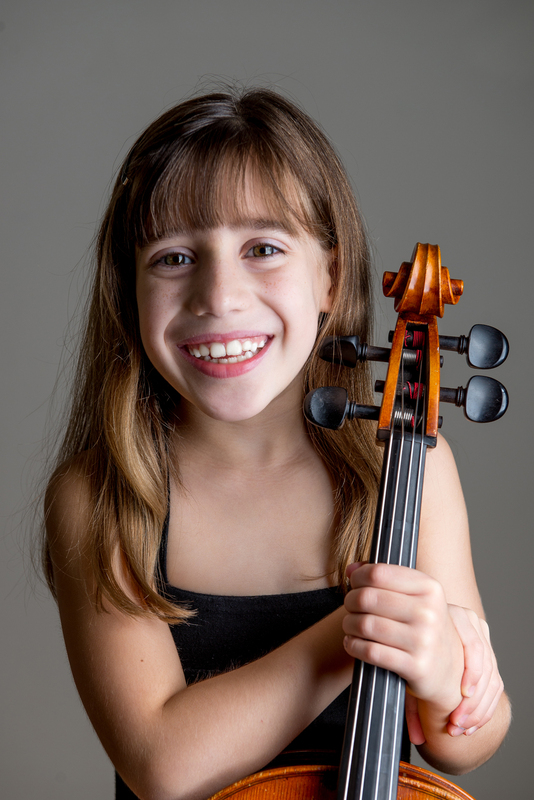 Aurelia is a serious cello student and has won several competitions, including “Artist of the Year” in the Great Composer's International Competition, The Crescendo Competition, East Coast Competition, and the Golden International Music Competition. Aurelia has performed at Carnegie Hall three times and at Royal Albert Hall in London. In April, 2017, she performed a Vivaldi Concerto as a soloist with the Washington Heights Chamber Orchestra in NYC and in October of 2017, she performed with the NY Concerti Sinfonietta after being chosen as a "Star of Tomorrow". Besides cello, Aurelia is a very serious student of ballet, dancing at the School of American Ballet and is a talented visual artist. A budding actress, Aurelia has been featured in the Hulu Original show "The Path" with Aaron Paul. She also loves swimming, skiing, horse-back riding, and everything science!